Listening to any Old Man Luedecke album is a pleasurable experience and the fruits of his latest endeavours show no deviation from the norm. Apart from his own zestful exuberance for sharing a bottomless pit of creative outpourings via the folk and roots music medium, Luedecke has once again teamed up with Tim O’Brien, forming a formidable force of joint Grammy and Juno winners. DOMESTIC ECCENTRIC rattles along with maximum effect showing the value of the purposeful song wrapped in a velvet blanket of spellbinding acoustic musicianship. The album is once again released on the esteemed Canadian label True North Records, a trusted source for outstanding traditional inspired music. 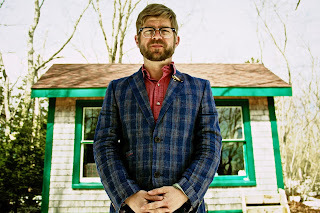 Luedecke and O’Brien took themselves off to a cabin in a secluded part of Nova Scotia to make the record, mainly employing straight from the floor recording techniques. Whether pinning the sound to banjo, fiddle, mandolin or guitar, the input from O’Brien has proved invaluable. 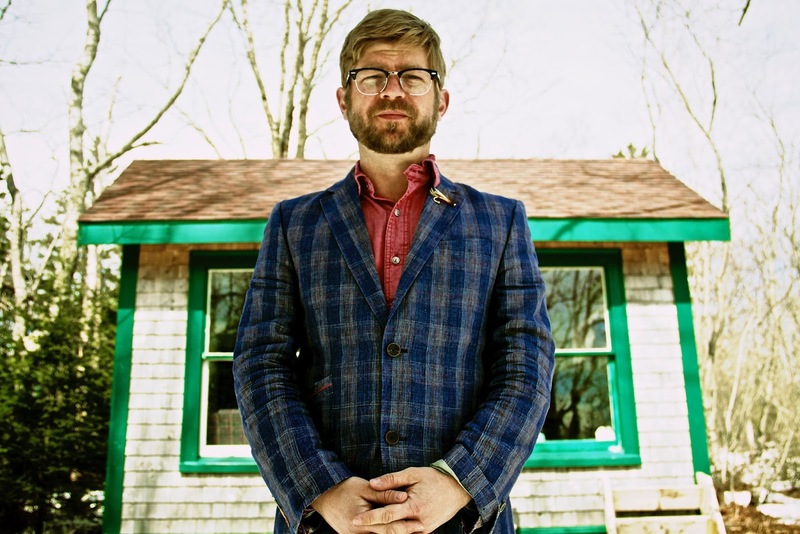 This creates a vibrant background for the songs of Luedecke to adopt their intended premise of conveying a personal message in an entertaining artistic manner. The biggest clue to the message is the ‘Domestic’ side of the album title as Luedecke opens his heart to a revealing degree in extolling the virtues of love, companionship, family and the stark reality of the many challenges faced in these emotions. 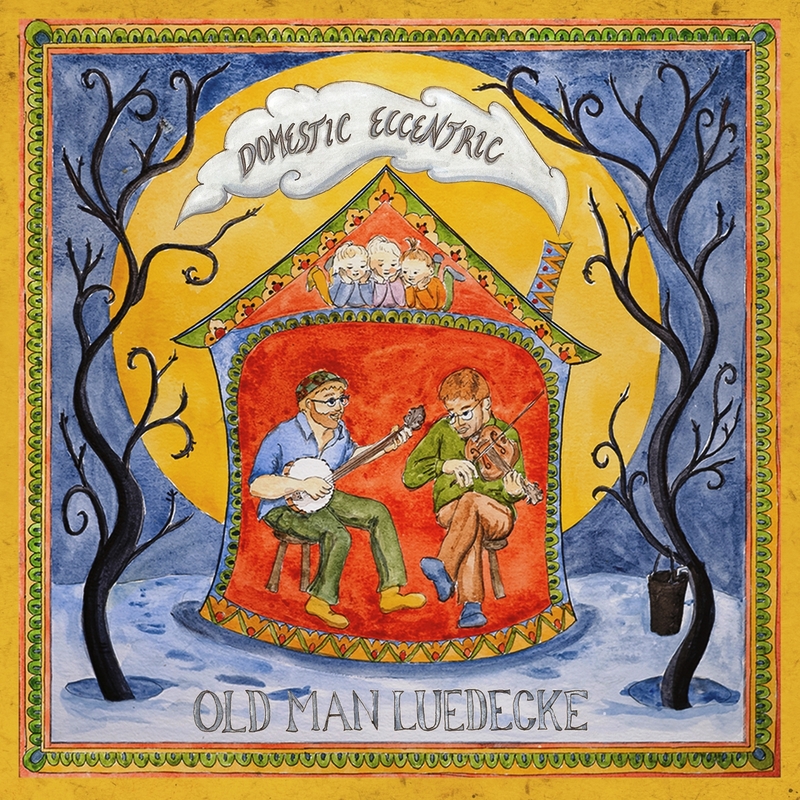 The ‘Eccentric’ part of the title is tougher to detect with individualistic being a more relevant word to describe the increasingly acclaimed artist that goes under the moniker of Old Man Luedecke. Like so many good records, the album is bookended by a couple of perfectly placed tracks core to the theme of the release. ‘Prologue: Yodelady’ can have no other place than number one in the running order and sets the tone explicitly by pouring out the heart at the start of a relationship. Just over forty-five minutes later, Luedecke leaves us with the realistic sentiment of ‘Happy Ever After’ and the facing up to the ongoing challenges of reality. In total, fourteen songs frequent this record and the sum of these tracks adds up to a breezy listen with the pace rarely relenting. ‘The Early Days’ is one of the few occasions where the foot eases off the acoustic pedal and this excellent melodic track has been highlighted for further promotion. Eventually the highly agreeable sonic vibes of the record become so embedded that attention focuses to the immense quality of Luedecke’s writing which has illuminated each track. Early in the record wider cultural influences see songs materialise under titles such as ‘Girl with the Pearl Earring’ and ‘The Briar and the Rose’. Whether revolving songs around loose titles such as these or more specific personal references like ‘Chester Boat Song’ and ‘Now We Got a Kitchen’, the theme is anchored to a back to basics view of life and applying it to the things that matter most. Dreaming of the most simple ambitions is revealed in the latter of these songs, while life gets even rawer in the line ‘find freedom and freedom will find you’ as lifted from the penultimate track ‘Year of the Dragon’. Occasionally you get a bluegrass feel to the record as heard in the short energetic number ‘Hate What I Say’. Mandolin comes to the fore in another back to basics song curiously titled ‘Low on the Hog’, while banjo leads from the front on the rootsy ‘Wait a While’ which reflects on the importance of companionship in a trade where travelling is compulsory. A similar theme is dealt with in ‘Brightest on the Heart’ and advocating the notion of clinging onto home thoughts while enduring the lonely travelling life. To give the record a more intense sense of simplistic reality, ‘Real Wet Wood’ adds the spice of a rural refuge and ‘Old High Way of Love’ is yet another clever attempt to convey the ultimate importance of marriage and family. Of course all this is through the eyes of Old Man Luedecke and an incredibly revealing montage of thoughts, hopes and experiences. The perfect mix of astute writing and accomplished musicianship makes this another assured record to flow into the ever crowded roots market, although with enough strength to more than just keep afloat. 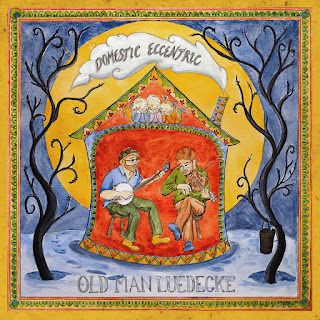 Its underlying theme of 'time goes fast so savour every minute' is a useful note to finish on and apply it to our choice of music of which DOMESTIC ECCENTRIC by Old Man Luedecke deserves your consideration.